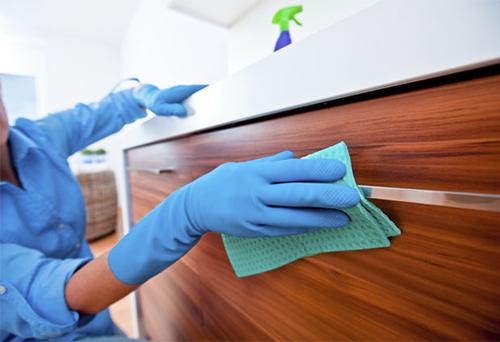 Cleaning of furniture and carpets is one of the important works in cleaning of premises. The cleaning company «Luxury Cleaning NY» is engaged in cleaning for a long time and customers always highly appreciate our work on upholstered furniture and carpet cleaning. Furniture and carpet cleaning is must be done not less than once a year. Otherwise the dust on carpets and furniture will become a peddler of infections. We will quickly and qualitatively clean carpets and furniture in your apartment or office using special professional detergents. Would you like your furniture looked like new after many years? Qualitative dry-cleaning of upholstery of your armchairs, sofas an chairs will help you with this task. Such task can be done only by cleaning companies! We will update your furniture – we will clean dust and unpleasant smells, destroy all microbes and dust mites. Would you like your furniture looked like new after many years? Qualitative dry-cleaning of upholstery of your armchairs, sofas and chairs will help you with this task. Such task can be done only by cleaning companies! We will update your furniture – we will clean dust and unpleasant smells, destroy all microbes and dust mites. The special detergent is put on the upholstery. Being absorbed, it dissolves all dirt. Then the special shampoo is put on the upholstery. This shampoo helps to clean all chemical products together with dirt from the upholstery without any efforts. With the help of the water vacuum cleaner the liquid is removed from the furniture surface. Then the furniture is dried by mechanical drying. Thanks to using the special technique for drying, the moisture will not stay even inside of the furniture. In a few hours, you will be able to use your updated upholstered furniture! For removing stubborn stains and gum from upholstered furniture, the special work is done. Professional products for deducing of such stains are used. Our company can undertake regularly both easy cleaning of your furniture with the help of the vacuum cleaner and dry (foamy) or wet cleaning. Depending on a degree of pollution of your carpets, they need either dry or wet cleaning. We will clean your carpets, advise you a kind of their cleaning which is necessary for today. The special powder or the foam corroding dirt is put on a carpet. With the help of the vacuum cleaner the powder is removed from a carpet together with a dirt. After this method drying is not required. Depending on pollution, stains on a carpet, our experts in cleaning select special necessary products for washing. Detergents are applied to the surface of the carpet to penetrate deeply into the pile, then they are removed, and the carpet is dried. Well-aired room is necessary for natural and final drying of a carpet and in seven-ten hours the carpet will be dry. Time of the wet cleaning of carpets is about 1 hour on 10 sq.m.